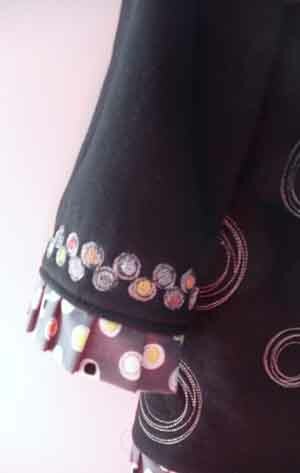 It wasn’t long, though, before those same girls were doing their own “embellishing.” Maybe you remember the “shredded shirt” trend from the 80’s? In the February All About ME (Machine Embroidery) session, we played with sweatshirts once again – this time making them more fun and stylish using embroidery, ruffles, and other decorative sewing techniques. 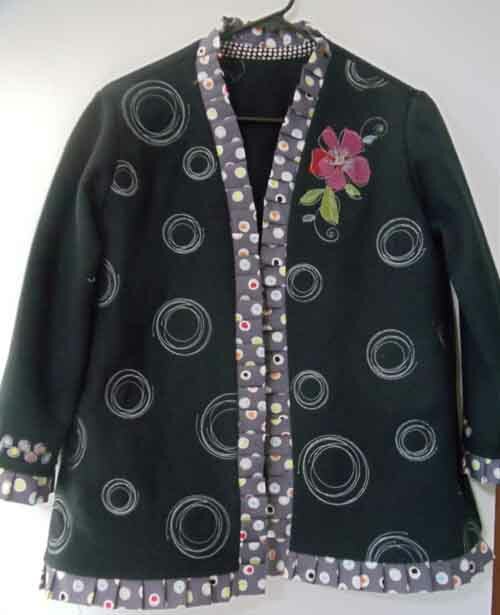 Featured on the jacket shown below are embroidery designs from OESD’s “Bold & Beautiful” collection #80001 (a BERNINA Exclusive, available in a variety of embroidery formats), with fabrics from the coordinating fabric line by Benartex.